Whenever I get the time, I love having a browse around health food shops. They have so many interesting and unusual products that you rarely see in the large supermarkets. I’m often looking for healthier type snacks to eat, both for myself and my kids. 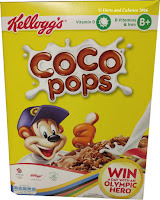 Getting them to eat healthily is a struggle, so I have been known to resort to ‘sneaky’ methods of increasing their vitamin and mineral content. One way of doing this is to mix ingredients into their food in such a way they won’t notice. Chopping up vegetables into small pieces and blending into a sauce or soup is one way, but it is time consuming. 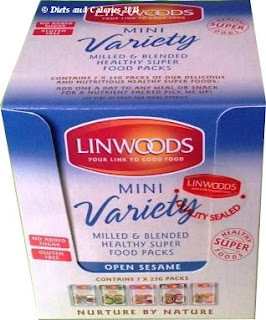 However, one quick and easy method of introducing a host of essential vitamins and minerals into food is provided by Linwoods. The recommended amount per serving is two heaped dessert spoonfuls each day. The way you eat it is up to you. I originally sprinkled some onto my yogurt for an added health boost. It provides a great contrasting texture with a mild, nutty type taste. Now, I’m not the one who has to be convinced that this stuff is good for me. My task is to get my kids to eat it. And it’s been a breeze. I make home-made smoothies with yogurt and fruit and simply add in one or two spoons and they don’t notice a thing. I also sprinkle it into stir fries and it’s undetectable. 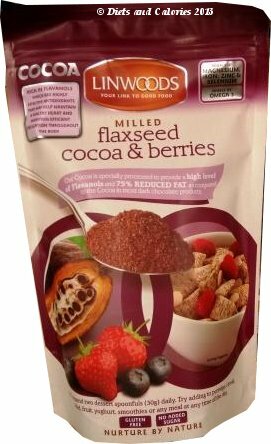 Another useful way is to put some in with their breakfast cereal or porridge. One thing to watch out for is the calories! There are a lot. Just one dessert spoon provides around 80 calories, so it’s very calorie dense. Adding two dessertspoons to one breakfast or smoothie will add an extra 180 calories, so use sparingly if you’re concerned about calories. On a recent trip back to Holland & Barrett, I was delighted to see Linwoods had introduced mini variety boxes of milled nuts, seeds and berries. How fantastic. 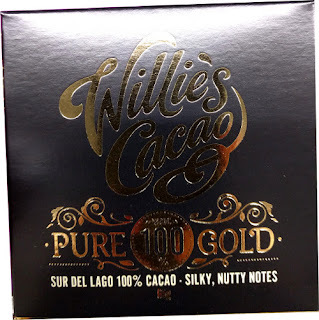 Not only is the whole box cheaper (£3.99) than buying one large bag (around £6), you can now sample what the others taste like without having to fork out for a large pack. Also, the mini sachets are handy to carry around, so you can easily add a health boost to whatever you’re eating away from home. 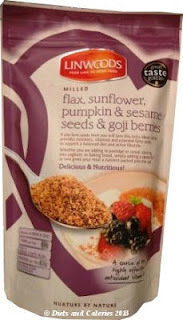 2 sachets of Milled Flax, Sunflower, Pumpkin & Sesame Seeds & Goji Berries: (515 calories per 100g / 129 per sachet). Key health benefits: omega 3, fibre, anti-oxidants and protein, vitamin E.
1 sachet Milled Flaxseed, Cocoa & Berries: (455 calories per 100g / 114 per sachet). 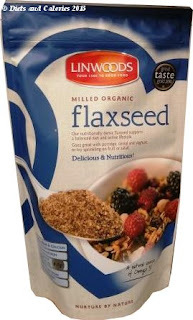 Key health benefits: High in flavanols (antioxidants), source of magnesium and omega 3, iron, zinc and selenium. 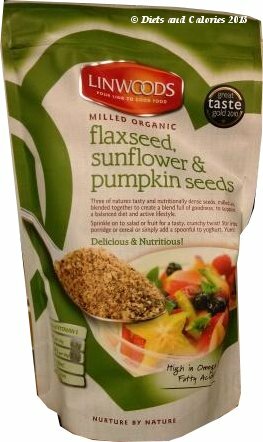 2 sachets Milled Organic Flaxseed: (510 calories per 100g / 128 per sachet). Key health benefits: Omega 3, fibre, iron, protein. 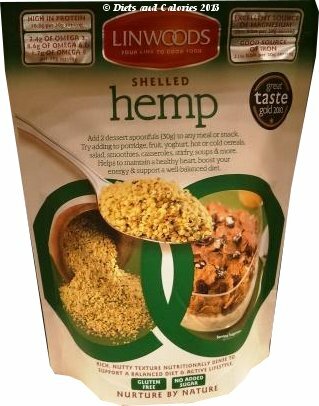 1 sachet Shelled Hemp: (593 calories per 100g / 149 per sachet). Key health benefits: Omega 3, 6 & 9, high protein, iron, magnesium. 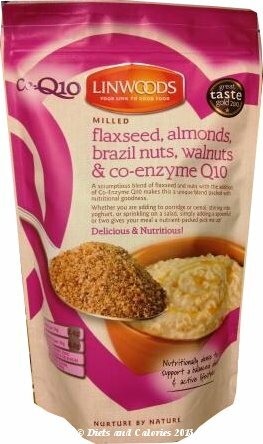 1 sachet Milled Flaxseed, Almonds, Brazil Nuts, Walnuts & Co-Enzyme Q10: (556 calories per 100g / 139 per sachet). Key health benefits: Omega 3, 6 & 9, selenium, magnesium, fibre and Q10 – highly effective antioxidant. 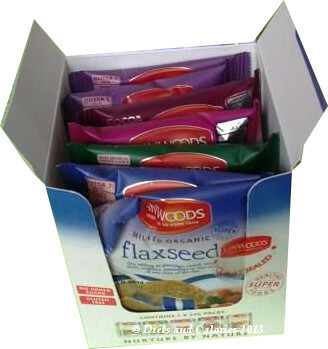 The box shows a recipe for homemade granola and provides several suggested uses including:-stirring into porridge, smoothies, casseroles, pasta, salads, stir fries and baked products such as cakes and muffins. 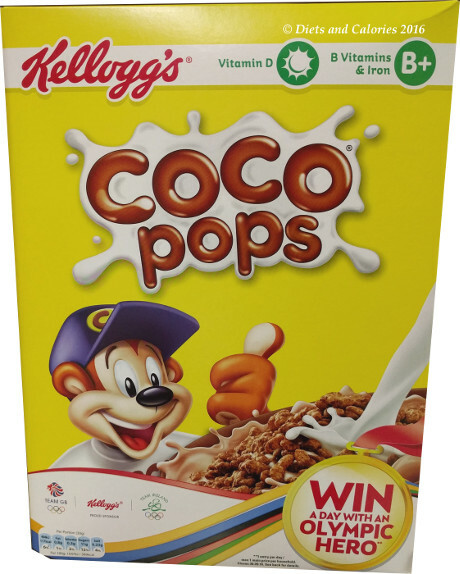 Packs contain no added sugar, they’re gluten free and suitable for vegetarians and vegans. Individual packs also include a full breakdown of vitamin and mineral content. 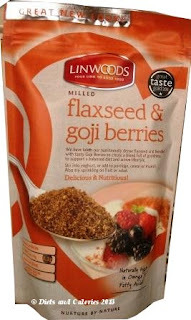 You can find them in health food shops such as Holland and Barrett as well as online and directly from Linwoods.